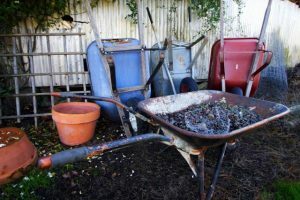 In March, many of us in Wyoming start to think about gardens and yard work after a long, cold winter. Some of us start seeds inside. Some of us pore over catalogs filled with vegetables and flowers and trees. All of us are looking forward to spring and summer. This is also a great time to think about whether your cabin, home, or other property in the urban-wildland interface is ready for fire season. Here’s a handy checklist to use when you start your outdoor chores this spring. Even homes or cabins that have been made Firesmart need to be maintained as vegetation keeps growing and our human activities change the situation. Remove leaves and needles between the boards of decks, and under any decks and porches. Monitor the above items on a regular basis. Keep current on wildfire activity in Wyoming or the country. Check out the websites below, and move them to your computer’s “Favorites” list.